Please, remember Shule and me in prayer for a relationship miracle for us both, that we be reconciled for the glory of God, THAT GOD WILL BRING OUR RELATIONSHIP TOGETHER AS A MARRIED COUPLE, THAT HE WILL BLESS OUR REUNITING AND THAT WE WILL BE ABLE TO RAISE OUR FAMILY IN GODLY FEAR. May God draw us both closer to Himself, and that we can have a loving relationship with God and each other. May His perfect will be done for us. SOMETIME IT TAKES THE SEPARATING TO KNOW THAT YOU ARE MEANT FOR ONE ANOTHER, SO please PRAY THAT GOD WILL QUICKEN SHULE'S SPIRIT AND OPEN HIS HEART FOR HIS LOVE FOR YOU. FATHER GOD SO THAT THIS WILL BE WHAT YOU HAVE COMMANDED, PRAY THAT YOU WILL UNITE US IN LOVE, PRAY THAT THERE IS NO OTHER INVOLVEMENT. THAT US, TWO INDIVIDUALS WHO HAVE LOST THEIR WAY FROM ONE ANOTHER, AND THAT YOU HAVE ORDAINED US TO BE ONE. Please pray for a restoration of the relationship and that it become the relationship that God wants it to be. May He open up the lines of communication so that He is honored by the peace and love between Shule and me. May I be open to hear how God wants me to act and speak to Shule. May the relationship be a blessing to us both. May He be between Shule and me, filtering every word, every action, every thought. 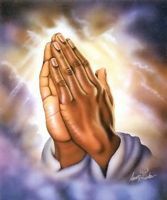 Please, agree in prayer that our relationship is restored in a Godly way. That we be able to each speak Truth to one another in love. That God will greatly direct and guide us and that most of all we will know His great love for us. May the Lord bless us with children and with a peaceful home. Also, please, hold Shule before You and ask that You draw near to him so that he becomes aware of Your Presence too. Let this time apart be a time of healing and renewal. Cause him to desire a reconciliation and make contact with me. Lord, please restore the relationship between Shule and me, making stronger than it ever was before. Let our relationship grow, with You as it's solid foundation. Strengthen the communication between us and hold us in Your Love and care, leading us towards marriage and a lifelong commitment. Bless us with many healthy children, who will grow up knowing You. Please, ask the Lord to move in miraculous power in this situation. Be blessed and stay connected. The words you have spoken are like the song of an angel and very beautiful. Thanyou. You have laid your heart open before God and he will come forward for you with what is the best thing for you as his child and whichnwill give the most glory and honour to his name. Words are strong and they have power and so are words of faith spoken : they can be like the words God spoke when he created the world. If you believe in him and his word, you too will create and it shall be so!